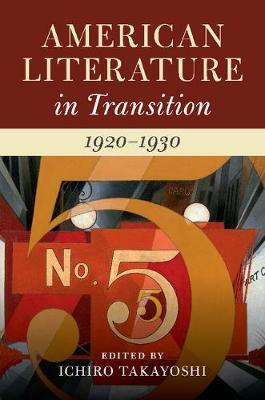 American Literature in Transition, 1920-1930 examines the dynamic interactions between social and literary fields during the so-called Jazz Age. It situates the era's place in the incremental evolution of American literature throughout the twentieth century. Essays from preeminent critics and historians analyze many overlapping aspects of American letters in the 1920s and re-evaluate an astonishingly diverse group of authors. Expansive in scope and daring in its mixture of eclectic methods, this book extends the most exciting advances made in the last several decades in the fields of modernist studies, ethnic literatures, African-American literature, gender studies, transnational studies, and the history of the book. It examines how the world of literature intersected with other arts, such as cinema, jazz, and theater, and explores the print culture in transition, with a focus on new publishing houses, trends in advertising, readership, and obscenity laws.